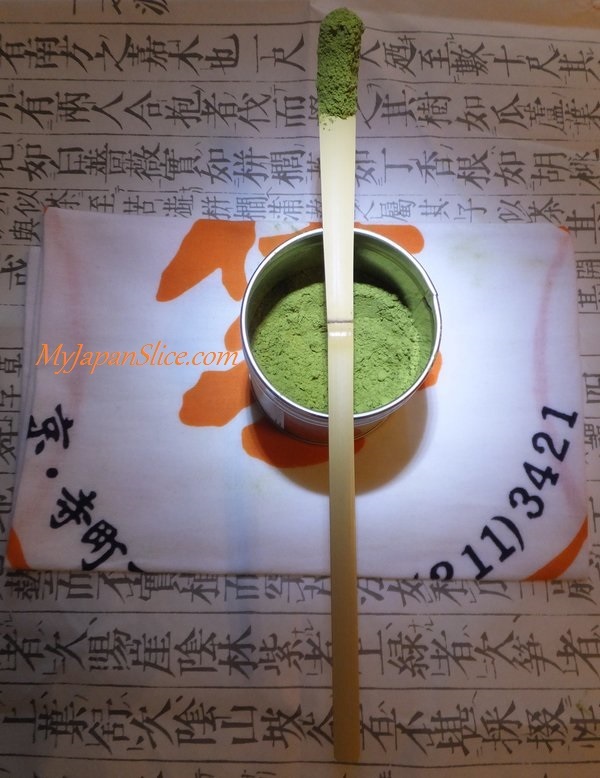 Today I present you Matcha, Japanese green tea powder. It is sencha tea pulverized between two millstones to obtain the grade called dust. It is the tea that is used for the Japanese tea ceremony, the cha no yu, literally translated hot water for tea. The Japanese tea ceremony requires years of training to be mastered and achieve the highest levels of perfection and refinement. Traditionally, the ceremony takes place in a special room called chashitsu. Participants leave out all negative thoughts and traditionally samurai were not allowed to bring in their swords. All the guests let themselves be absorbed by serenity and peace. 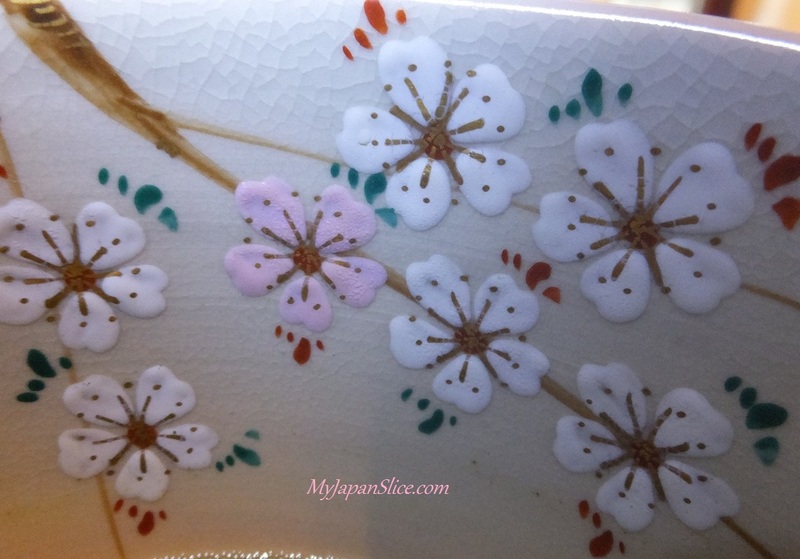 In addition to the green tea powder there are some special objects needed for the ceremony. A lacquered box to contain tea called natsume, the chashaku, a bamboo spatula to dose the powder, the chasen, a bamboo whip to stir the tea and the chawan, the bowl. Completing the list there is the pot for hot water, kama, and the hishaku, the ladle to collect water from the kama. Participants in the ceremony will sit in a circle around the master who begins to make tea for a guest at a time. Using the spatula the green tea powder is dosed into the bowl, then from the pot hot water is poured into the bowl, immediately, using the whip and with fast movements of the wrist the master mixes tea to obtain a light foam, the so-called jade foam. Each guest prepares the palate with a sweet filled with sweetened red bean paste to counteract the bitter taste of matcha and then drink the entire content of the bowl that the master hands him. The same movements are repeated equal for each guest, elegant and unchanged throughout the ceremony. And you, have you ever attended a Japanese tea ceremony? What impressions have you had? Share your experience with us in the comments! 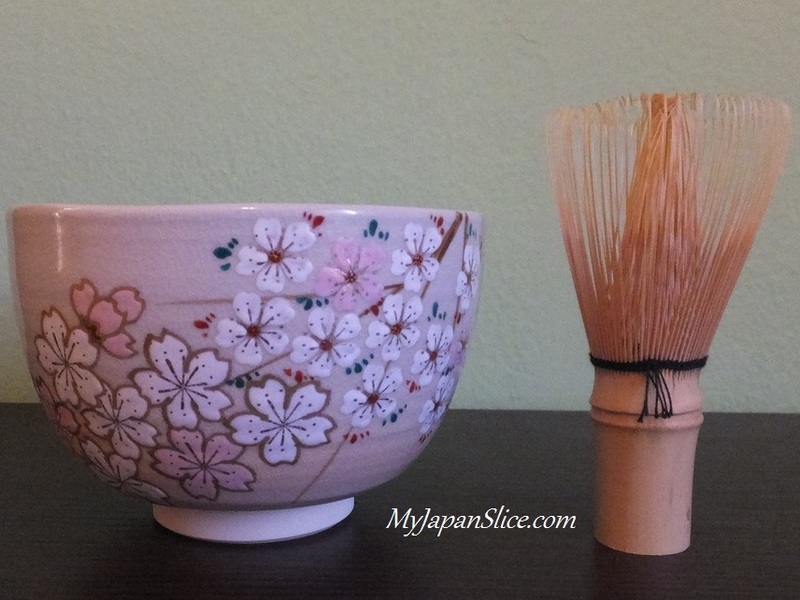 3 Responses to "Matcha and Japanese Tea Ceremony"